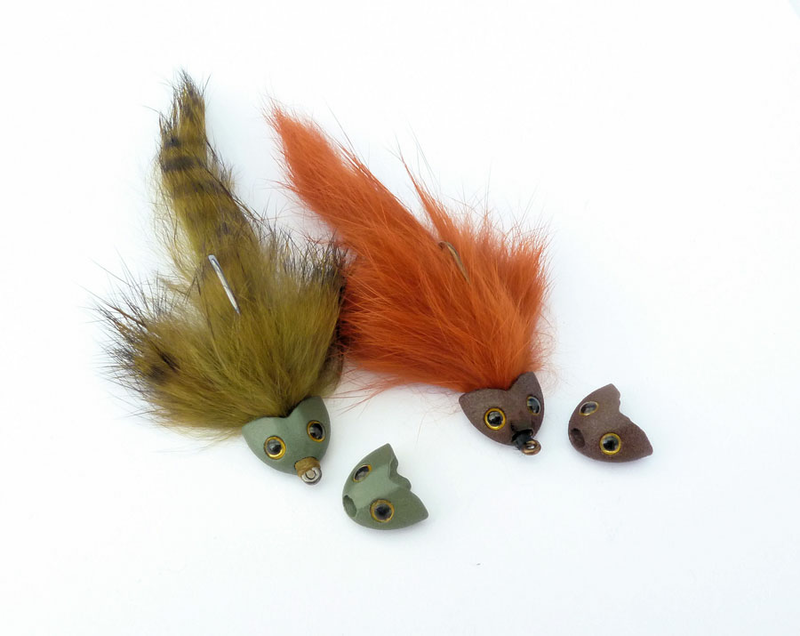 The new Mini Sculpin Head is lighter and about the same with as standard bead chain eyes. It's easy to cast and lands softer than some of the heavier lead eyes used today. 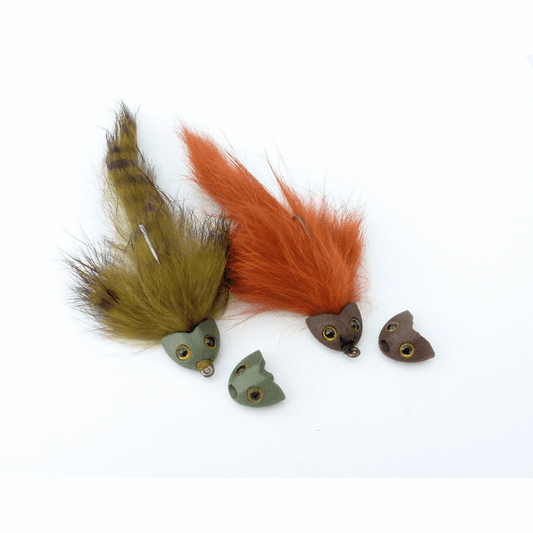 Mini Sculpin Helpmets fit hook sizes #10-#2. 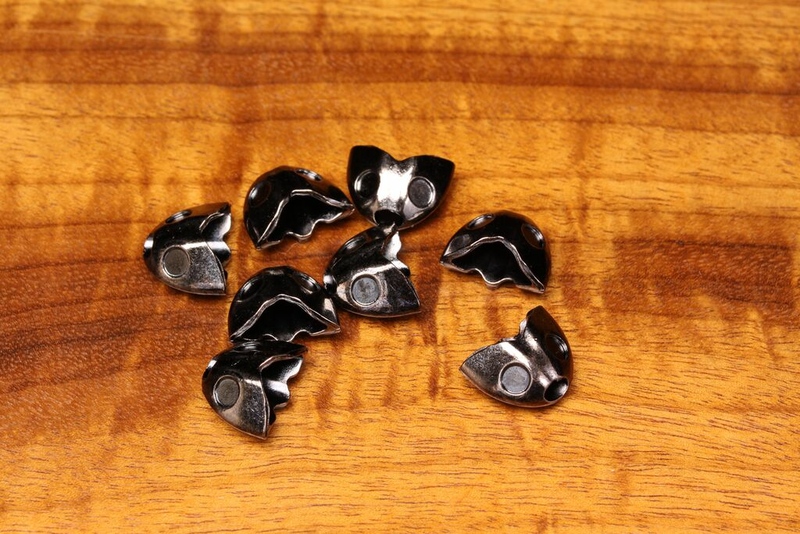 Designed to fit on the front of a hook, not slide on from the bend like a bead. Designed so the bottom of the Mini helmet is heavier so you fly is sure to ride up and not snag.